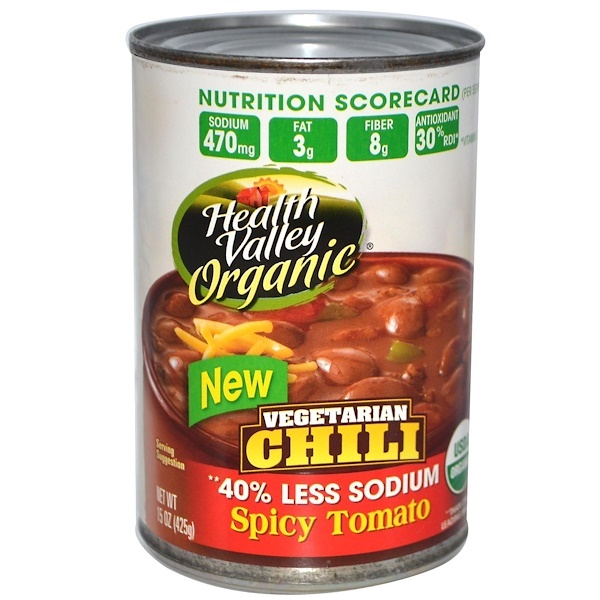 Health Valley Organic Vegetarian Chili gives you a hearty, satisfying taste experience. Our organic Spicy Tomato Chili is a spicy chili with a kick of jalapeño and cayenne. This Chili is an excellent source of fiber (8 grams) and vitamin C (30%) and a good source of protein (10 grams). This Health Valley Chili contains 470 milligrams sodium per serving. Other leading brands contain 780 milligrams sodium or more per serving. 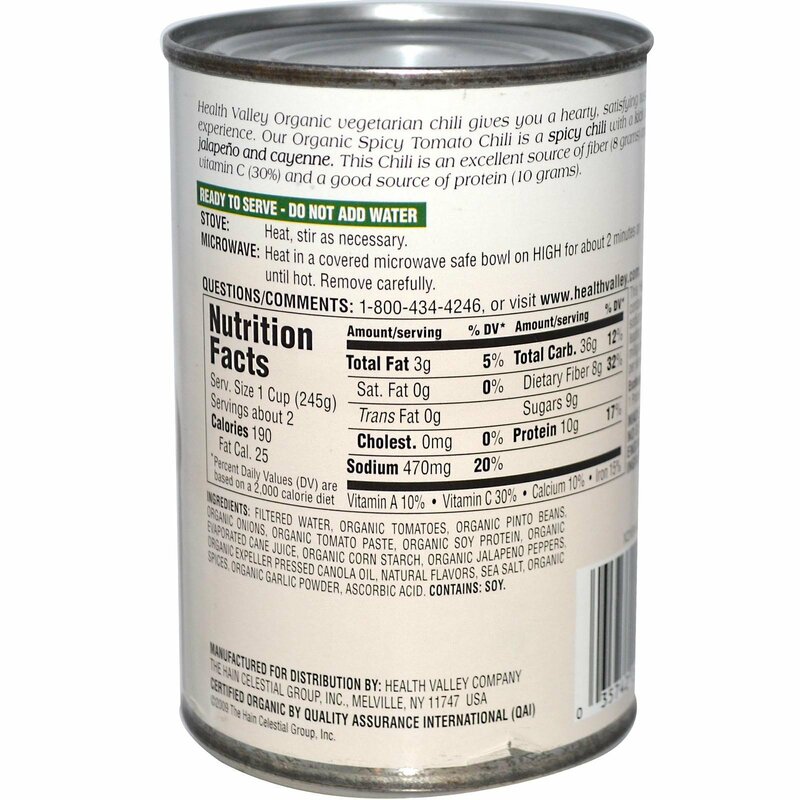 Filtered water, organic tomatoes, organic pinto beans, organic onions, organic tomato paste, organic soy protein, organic evaporated cane juice, organic corn starch, organic jalapeño peppers, organic expeller pressed canola oil, natural flavors, sea salt, organic spices, organic garlic powder, ascorbic acid. Contains: Soy.